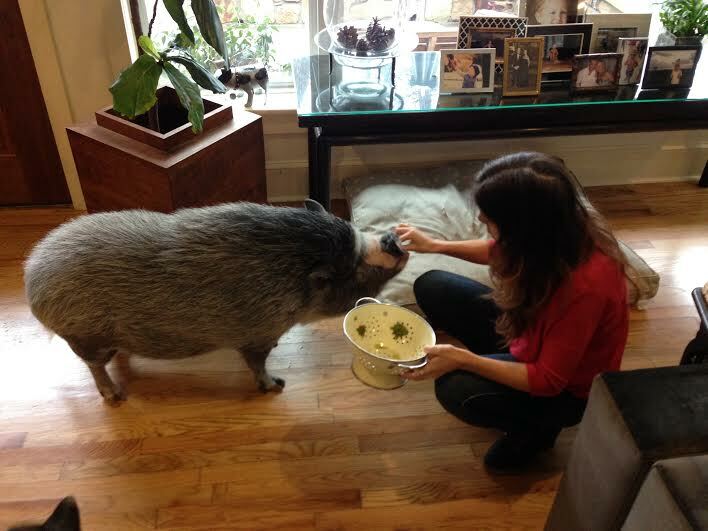 Meet Bernard, a former farm pig who was rescued from his doom by my friend, V. I met V at an animal advocacy event a couple of weeks ago, and upon admitting my fantasy of adopting a farm animal– specifically, a pig– she insisted that I come over for a Sunday Funday veggie brunch to meet her potbellied prince. 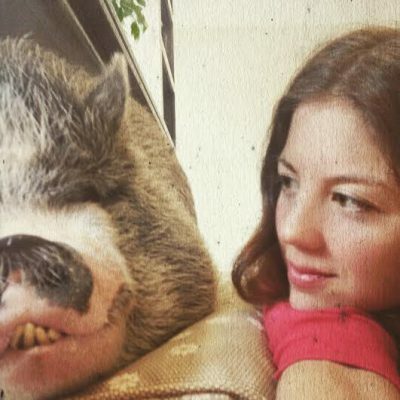 While civilized humans dined over our heads, I laid on my stomach with Bernard and took photos, squeezed his piggy cheeks, and fed him salad. Despite his eczema and severe under bite, it was love. As far as whether or not a pig is in my immediate future, the verdict is still out… Stay tuned! do the dogs & Brrnard get along? Does he cuddle?